School shootings are a huge issue in our society, as sad and devastating as it is. I haven't read any books as of yet that touched upon the subject, yet alone with care and carefulness so when I heard the great things about how Dear Charlie was written, I knew it was going to be a worthwhile read. After Sam's brother Charlie takes a gun to school, killing himself and fourteen other students, Sam's entire world tips over and shatters into a million pieces. He struggles in the time that spans after the event, feeling like when Charlie took the lives and his own, he created a void that sucked everything Sam once knew into it with him. He feels alone in the world, pulled apart from his friends and school that he can't go back to, his thoughts thinking over and over if there were any signs he might have missed that would have helped Charlie. N. D. Gomes captures the subjects that Dear Charlie covers beautifully and painfully. Not only does the book delve into Sam's head, but Charlie's also. Sam has to recover from the ordeal, inside and out. His Parents are under scrutiny by the media, and also are grieving, causing an even larger wound in their lives. Charlie's actions cast Sam's life into a new one that forces him to change and adapt to a different way of life in the following times as he tries to heal emotionally and come to terms with the fact that his brother is gone and that things will never be the same. Overall, Dear Charlie is a gripping, eye-opening YA novel that I wish I could put in everyone's hands. Our world has had some of the biggest disasters because of guns and I am thankful that in YA literature we have a new author to shine a light on the realistic aspects of day to day life in society. I wish that guns never existed in the hands of people who have no business using them or thinking they are entitled to them. Charlie, like many others who have used them, took a gun to school and its a heartbreaking subject, but N. D. Gomes writes it with strength, believable edge and with a memorable story to last a lifetime. 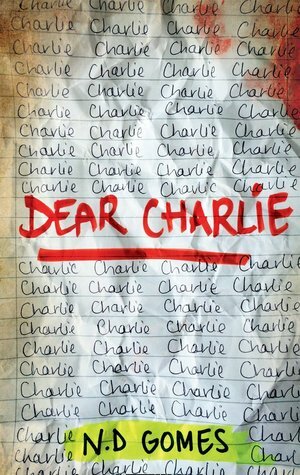 Although I found it hard to get through at times because of the enormity of the realistic subject, there is no denying that Dear Charlie is a brilliant book from an amazing author to watch. 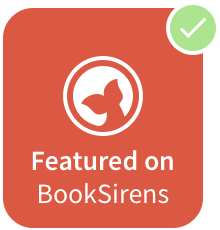 YA readers who like gripping books with realistic aspects. 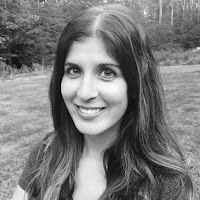 N.D. Gomes was born in Scotland and graduated from the University of Stirling with a BA in Media & Journalism Studies, and went on to receive her Master’s degree in Education in the US. She currently works in a public school system to increase educational opportunities for students with special needs. Previously, N.D. Gomes wrote for the London-based online student political magazine, deAlign and stage-managed student plays at the LeeStrasberg Theatre Institute in New York City where she attended for two years. She currently divides her time between the US and Scotland, but hopes to spend more time at her cottage in Hay-on-Wye in Wales. Dear Charlie is her debut novel. Have you read Dear Charlie? Let me know in the comments or at @LittleMemoirs on twitter or using the tag #DearCharlie.